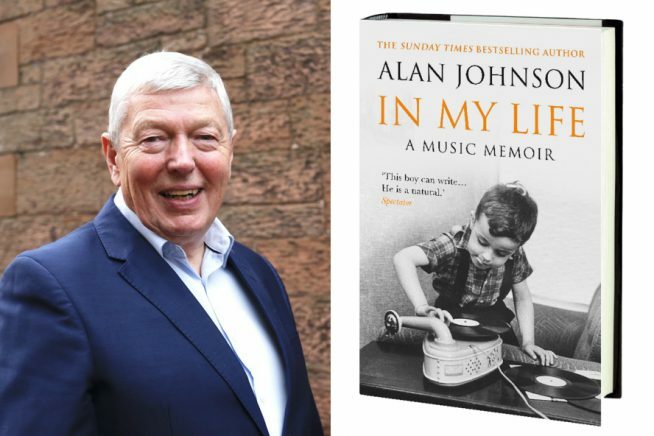 Former politician turned award-winning author, Alan Johnson tells his story of growing up with a passion for music in a London that has long gone. From being transported by the sound of ‘True Love’ by Bing Crosby and Grace Kelly on the radio, as a small child living in condemned housing in ungentrified West London in the late 1950s, to going out to work as a postman humming ‘Watching the Detectives’ by Elvis Costello in 1977, Alan Johnson’s life has always had a musical soundtrack. In fact music hasn’t just accompanied his life, it’s been an integral part of it. In My Life vividly transports us to a world that is no longer with us – a world of Dansettes and jukeboxes, of heartfelt love songs and heart-broken ballads, of smoky coffee shops and dingy dance halls. From Bob Dylan to David Bowie, from Lonnie Donegan to Bruce Springsteen, all of Alan’s favourites are here. As are, of course, his beloved Beatles, whom he has worshipped with undying admiration since 1963.